Jeanette is co-director of the Humboldt Institute for Internet and Society’s (HIIG) and a Professor of Internet Politics at the Freie Universität in Berlin, Germany. 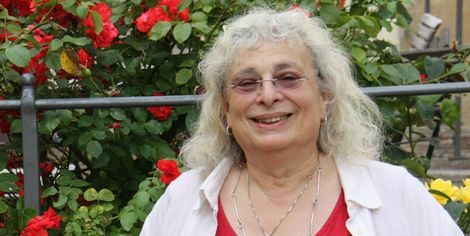 She conducts research at the Social Science Center Berlin (WZB), which she co-founded to develop a social and cultural science perspective on the internet in 1994. She is also research associate at the Centre for Analysis of Risk and Regulation (CARR) of the London School of Economics and Political Science (LSE). Sher research areas cover governance, regulation of the Internet and the transformation of copyright. Her contribution in global internet governance include her advisory committees, like the advisory role in the working commission ‘Digitalized Society’ of the Leopoldina, membership in the Enquete Commission on ‘Internet and Digital Society’ of the German Bundestag from 2010 to 2013. Pria has over 10 years of experience as a technology law and policy advisor to public and private sector organisations, developing country governments and international organisations. In 2007, Pria founded a leading South African technology law firm which was acquired by Pricewaterhouse Coopers in 2011. Following the acquisition, Ms. Chetty was responsible for establishing and heading the technology legal and regulatory service area for the PwC national advisory practice. She left PwC in 2013 and went on to serve as an expert consultant on an ITU project focusing on technical assistance in the area of cybersecurity law and policy for Southern African countries. As a thought leader, Pria has presented at local and international technology conferences including conferences in Egypt, Canada, Senegal and Namibia and published in local and international newspapers, magazines, and journals. She has also published book chapters examining emerging technology law and policy topics with particular emphasis on recommendations for developing countries. Pria currently serves as a member of regional and international expert groups and advisory boards including the BRICS Cybersecurity Expert Group and Wikimedia ZA. She was also an Associate at the Global Cybersecurity Centre at Oxford University. Pria is passionate about facilitating technology law and policy that enables ICT opportunities in Africa. 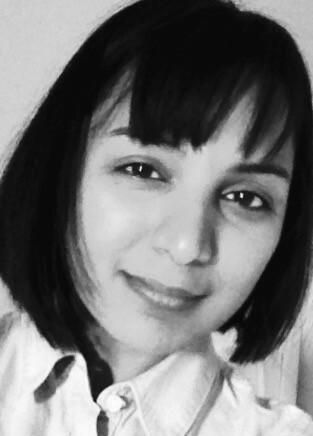 Avri is a research consultant with a number of contracts with both NGOs and the technical community. She served on the UN Working Group on Enhanced Cooperation I (WGEC) and the UN Working Group on Internet Governance (WGIG). She served as a member the Internet Governance Forum (IGF) Secretariat and is a member of the IGF Multistakeholder Advisory Group (IGF MAG). 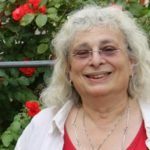 As a technologist she has been involved in the development of Internet protocols and architectures for over 30 years; is co-chair of a Research Group on Human Rights Protocol Considerations and a member of the Internet Research Steering Group (IRSG). She has been active in ICANN policy, was chair of the GNSO Council and is a current member of the ICANN Board of Directors. She is serving as the first chair of the Internet Society Chapters Advisory Council Steering Committee. Avri was awarded the ICANN Multistakeholder Ethos award in 2014. 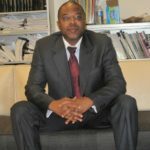 Adiel is one of West Africa’s internet pioneers having in the early 90’s, set up some of the first private and independent Internet Service Providers in the region, CAFENet. He is the current Chief Executive Officer of Africa’s Internet Numbers’ Resource Registry, AfriNIC Ltd. His over 15 years experience in the internet industry include working as a director in the IT service industry and as an Information System Manager. Within internet governance community, Adiel has served as member of the UN Secretary General Internet Governance Forum Advisors Group , in the African Technical Advisory Committee of the United Nation Economic Commission for Africa (ATAC/UNECA) and in the Organisation Internationale de la Francophonie group of expert on Internet Governance. 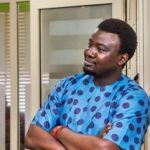 Originally trained as an Electronic & Electrical Engineer at Obafemi Awolowo University, Gbenga completed Executive Education programs at Lagos Business School, New York Group for Technology Transfer, Oxford University, Harvard University, Stanford University, Santa Clara University and University of the Pacific. His consulting experience includes assignments completed for numerous institutions, including Microsoft, Harvard University and United Nations agencies, among others, in over 30 countries. A Schwab Foundation Social Entrepreneur of the Year (2014) and former member of the United Nations Committee of eLeaders on Youth and ICT. He is a CyberStewards Fellow, Crans Montana Forum Fellow, Archbishop Desmond Tutu Leadership Fellow, Ashoka Fellow, Our Common Future Fellow and Cordes Fellow. 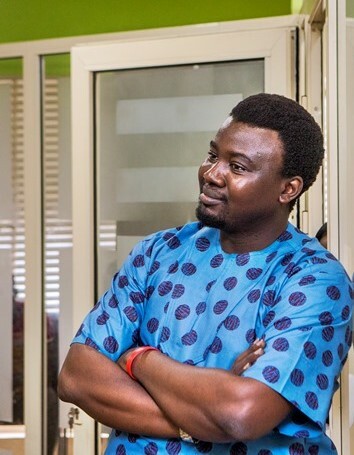 ‘Gbenga served as a member of the Presidential committees on Harmonization of Information Technology, Telecommunications and Broadcasting Sectors (2006) and Roadmap for the Achievement of Accelerated Universal Broadband Infrastructure and Services Provision (2013), and was listed by CNN as one of the Top 10 African Tech Voices on Twitter and by Ventures Africa as one of 40 African Legends Under 40. Gbenga is married to Temilade Sesan, PhD, an expert on Energy Poverty and Development issues in sub-Saharan Africa. Dr. Bitange Ndemo is the honorary chairperson of the Alliance for Affordable Internet. He is immediate former Permanent Secretary, Ministry of Information and Communications, Kenya. He is regarded as the father of Broadband in Kenya, having championed the development of Fibre Optic cables and other supporting infrastructure to the Eastern Africa region. Association for Progressive Communication (APC) coordinator of the internet rights and human rights. Joy joined APC in April 2011 and was previously a lawyer with her own practice and a Commissioner with the New Zealand Human Rights Commission from 2002 and 2010. Her expertise is in human rights issues in the Asia and Pacific regions, women’s rights, sexual orientation and gender identity, and human rights and the Internet. Khaled is the Web Index Project Manager at the World Wide Web Foundation. He has over ten years experience managing multi-country projects in information and communication technologies (ICTs) with a focus on Internet policies and digital networks. Before joining the Web Foundation, Khaled was with the International Development Research Centre (IDRC) where he collaborated with academia, governments, the private sector and civil society organisations in Africa and Asia to leverage a more inclusive Internet environment. Issues included broadband policy and regulations, intellectual property right reforms, online publishing, and business models. Mawaki is a consultant and an entrepreneur as well as a scholar in the field of Information and Communication Technology (ICT). He is particularly enthusiastic about assisting African countries develop a truly digital economy through inclusive and evidence-based ICT-enabling policies. 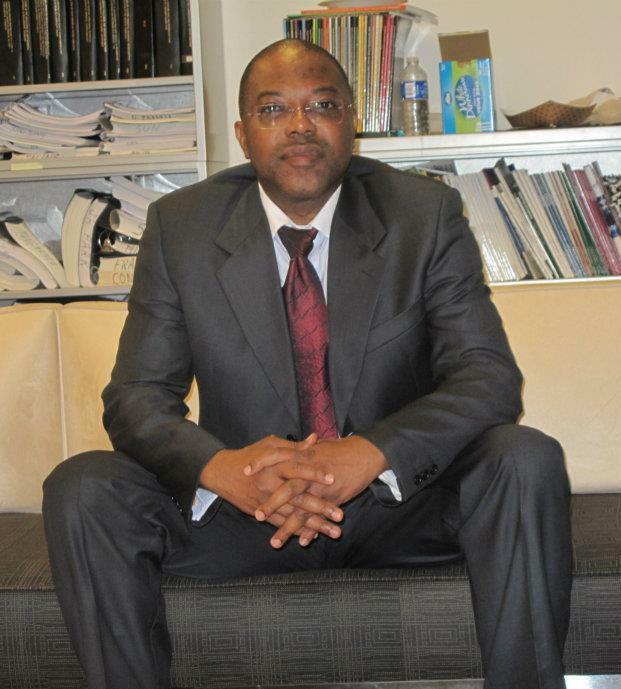 He has nearly 20 years of experience on societal issues relating to ICTs, consulting for organizations including UNESCO, the International Development Research Center, the Open Society Foundations, the African Union’s NEPAD Agency, UN’s Economic Commission for Africa, Hivos, the Association for Progressive Communications (APC), etc. 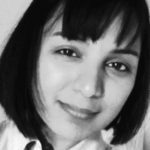 Mawaki has a PhD in Information Science and Technology from Syracuse University (Syracuse, New York) with a research focus on Internet governance, policy and digital identity management. Mawaki has recently been appointed as a member of the Board of Trustees at Sovrin Foundation, dedicated to building a trustworthy identity layer to the Internet. Over the last dozen of years, Mawaki has been actively involved in Internet governance spaces such as the Internet Corporation for Assigned Names and Numbers (ICANN), particularly as a councilor in matters of policy regarding the Internet’s top-level generic domain names; the global civil society’s Internet Governance Caucus; and the UN-led process, Internet Governance Forum, both at global level and on various levels in Africa. Founder of DigiLexis Consulting (upcoming new site at www.digilexis.co), Dr. Chango intends to increasingly engage his thoughts and actions to help spur Internet-enabled entrepreneurial opportunities in Africa as well as governments to embrace the most adequate policies in that regard while improving their own operations in the digital age. Currently residing in Togo, Mawaki speaks English, French and Portuguese. Nnenna works to develop cutting-edge collaborations in Africa. Her work has a particular focus on the Alliance for Affordable Internet project and the Web We Want campaign for human rights on and through the Web. She is an experienced development professional who has worked in the ICT field in Africa for over a decade. As well as leading a highly regarded consultancy platform, Nnenna has in recent years co-founded The Free Software and Open Source Foundation for Africa, and served as a board member of the Open Source Initiative. Her career has allowed her to work closely with many civil society organisations, the African Development Bank, the Digital Solidarity Fund and has seen her involved in many phases of the UN’s Africa Information Society Initiative. She has lived and worked in five African countries and is fluent in English, French and a number of African languages. Wolfgang Kleinwaechter is a Professor for International Communication Policy and Regulation at the Department for Media and Information Studies of the University of Aarhus in Denmark. He was a member of the UN Working Group on Internet Governance (WGIG) from 2003 – 2005, a Special Adviser to the chair of the Internet Governance Forum from 2005 to 2010 and a member of the UNCSTD IGF Improvement Working Grou from 2010 to 2012. He is involved in ICANN since 1998 where he chaired, inter alia, the Nominating Committee (NomCom) and from 2011-2013 he was a member of the GNSO Council. He has since become a member of the ICANN Board of Directors. He is also a member of the “Panel of High Level Advisers” of the “Global Alliance for ICT and Development” (GAID), a co-founder of the European Dialogue on Internet Governance (EURODIG) and chair of the ICANN Studienkreis. In 2009 the Council of Europe appointed him to chair the COE Cross Border Internet Expert Group. He is chair of the IOT Governance Sub-Group of the EU Tasks Force on the Internet of Things and worked as evaluator in the EUs Safer Internet Action Program (SIAP). In the academic world, Wolfgang Kleinwächter is an elected member of the International Council of the “International Association for Media and Communication Research” (IAMCR) and a partner in the EU FP 7 project “Next Generation Internet/EURO-NF” where he is a member of the Steering Board and leads a special research project on “Governance and Privacy Implications of the Internet of Things”. 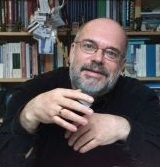 He is the founder and chair of the “European Summer School on Internet Governance” (EURO-SSIG), and has published and edited more than 200 articles and 12 books. 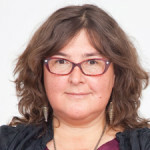 Anriette is the Director of global policy and strategy of the Association for Progressive Communications (APC), an international network of organizations working with Information and Communications Technologies (ICT) to support social justice and development. She was previously the executive director of this same organisation for seventeen years, until March 2017. Prior to joining APC, Anriette was executive director of South African APC member SANGONeT, an internet service provider and training institution for civil society, labour and community organizations. Since January 2014, Ms. Esterhuysen has been on the Global Commission on Internet Governance. She sits on the 1NET steering committee, a non-governmental multistakeholder platform to discuss and explore improvement areas for the current global internet governance and technical coordination framework. 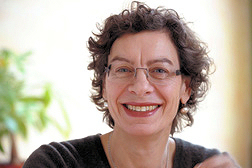 Anriette has published extensively on ICTs for development and social justice. Emilar Vushe works with the Association for Progressive Communications (APC), and has been since 2009, where she is responsible for coordinating policy projects in Africa. Prior to joining APC, she worked as a researcher both in Zimbabwe and South Africa mainly focusing on public information rights and human rights. She is a graduate of the National University of Science and Technology (NUST) in Zimbabwe.